HTC U11 is the latest flagship phone from the Taiwanese smartphone manufacturer. The U11 is currently receiving latest Android 8.0 Oreo update. 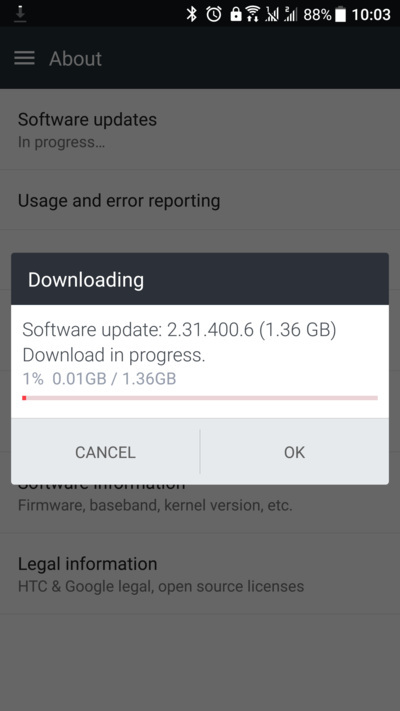 According to Mo Versi – VP, Product Management at HTC, the phone has been receiving the update since the last Thanksgiving with firmware build number 2.31.709.1. As reported by several users, the OTA weights around 1.3 GB in size. The first Oreo build came to the regions of Taiwan in Asia. Currently, the HTC U11’s Unlocked variant in the USA, and the global variants in the European and Asian regions are receiving the OTA update. The same will come to other USA variants like T-Mobile, Sprint, Verizon, etc. However, before we hop on the Oreo update, you will need the latest Nougat update installed on your HTC U11. Following we have created a list of Android 8.0 Oreo and 7.0 Nougat based full stock RUU firmware files. Grab them and see instructions to flash. The Oreo RUU firmware files are not available for all variants. We will update the Oreo RUU stock firmware for HTC U11 once available. The following are not RUU EXE files. Many of them are RUU zip files which can be installed using certain HTC tools listed on our tutorial pages. The full RUU zip files can be flashed using either the OTA method or the fastboot methods. Currently, the Oreo builds are available for only a select number of devices. Other variants can download via OTA updates. So go to settings, software updates section and check for OTA updates. Read: How to install OTA updates?